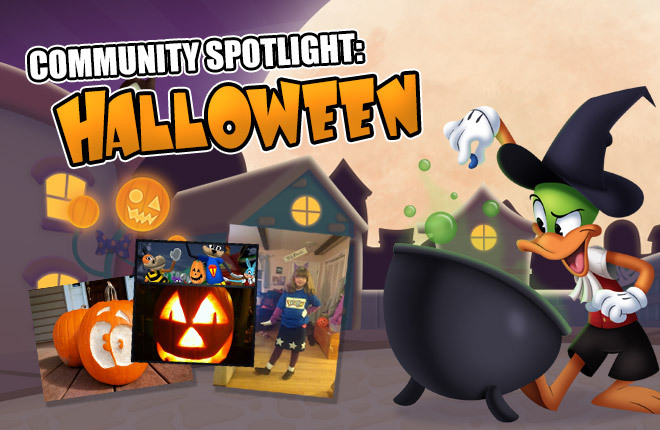 Welcome, gals and ghouls, to the first ever Toontown Community Spotlight! Halloween is over and Jack O. Kazam's curse has been lifted, but that doesn't mean that we can't keep doing the "Monster Mash" a little bit longer. We're quite good at it, you know. Even better than our "Monster Mash" skills, however, are the players in this community! On our social media accounts (Which you should totally follow - you can find them at the bottom of the page), we asked Toons to send in pictures and stories about how they celebrate a "#ToonEnough" Halloween. We've highlighted our favorites here! These are some awesome community creations, and we know there's a whole lot more out there! Make sure to follow us on Facebook, Twitter, Instagram, and Google+ so that you don't miss out on future Community Spotlights. Through the Member Mailer program, you can also send us your own physical creations, like fan art, to be featured on the website! We're going to head back now to keep scarfing down that Halloween Candy. We've been on a nonstop sugar rush for the past two days, and there's no stopping us now. 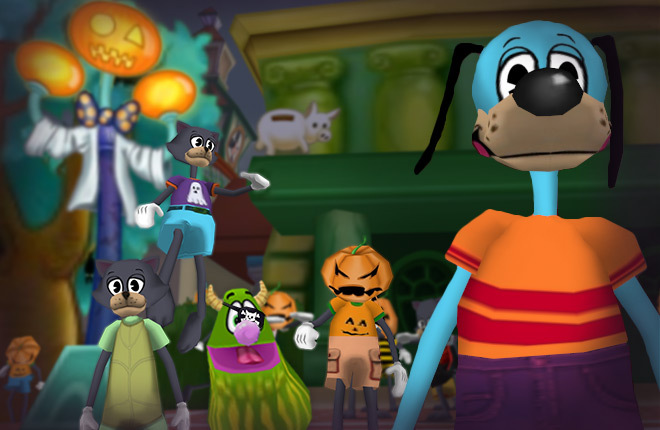 Hope that you enjoyed Toontown's Halloween Event! 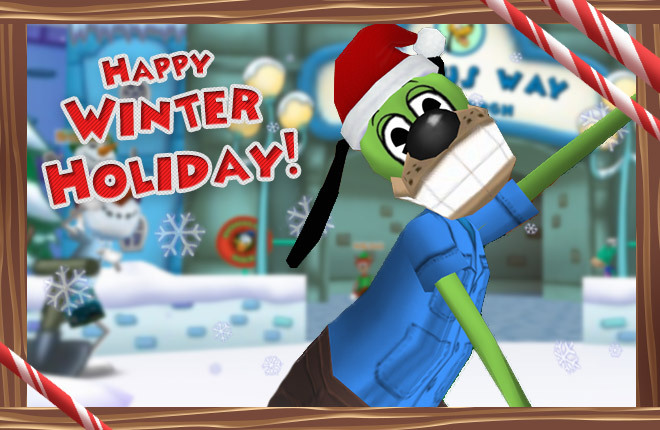 Let us know in the comments: What do YOU want to see next on the Toontown Community Spotlight? OOOOOOOOOO SPOOKY! We went Halloween! THIS IS HALLOWEEN. THIS IS HALLOWEEN. HALLOWEEN! HALLOWEEN! HALLOWEEN! Eh sorry. I got that song in my mind. I love Halloween! Gosh! Everyone certainly is #ToonEnough! This community just gets better and better. And i have a feeling that seeing and posting Fan Art / Community Material will be even easier with the long awaited Toon Hq Page! I loved the Halloween decorations all around Toontown. I cannot wait until next year! I hope to expect Halloween next year after Toonfest without hibernation! I MUST say, I thought ( I ) was Toon Enough, but obviously not ( Enough ) to bring it to my - real - world. Next year, I'm painting a pumpkin honoring Toontown. I painted 5 this year, none of which showed my Toon Enough spirit. Darn. Way to go guys! So creative. I did however, stay up until midnight to turn a few of my cat toons black. :D Happy Holidays! Can't wait to see what Thanksgiving brings. If they celebrate it. Double beans on everything we do? That would be fun! This year was an absolutely fantastic Halloween! Thank you for featuring my work on this website! 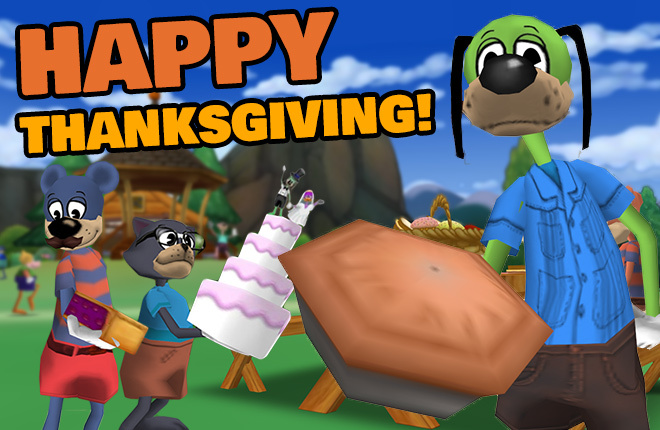 You guys are truly Toontastic! It always warms my heart to see how dedicated some people are to Toontown. 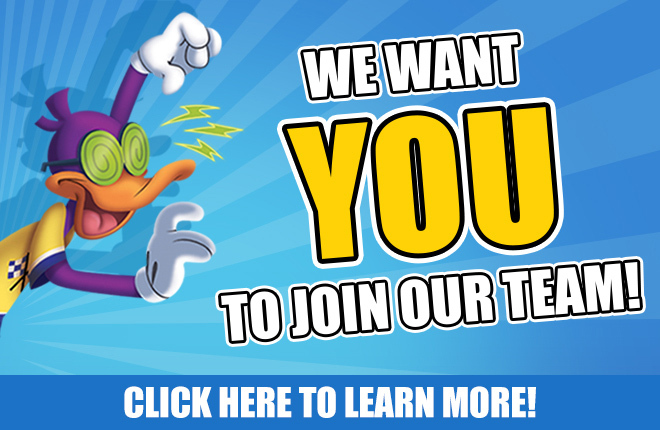 This includes you, oh TTR staff you..
Now that's the Halloween Toon spirit! What is this light! It blinds me! What happened to spook town? Its over? Its over!!! Well keep the exicitement going im sure there is more events! TTR I STILL HAVE THE PUMPKIN ON MY HEAD PLEASE TAKE IT OFF! Hey look at that! I was featured! Thank you so much! I'm so shy with pictures though, I guess that's what comes with being a mouse. All those tee shirt challenge winners and no time to show them off before Halloween costume time. Like to see them en mass at an event besides a fashion show???? Halloween event was da best in ttr. I LOVE IT SO GOOD JOB TEAM!!!!!!!!!!!!!!!!!!!! It been so fun in spooktown! Now I can't wait for the thanksgiving sale! I don't celebrate Halloween, but still, Happy late Halloween!!! I enjoyed it so much!! !